For many decades the cigarette industry has virtually remained unchanged. Tobacco has always been the ingredient that has been at the forefront of that industry. Tobacco is what makes many of these products tick, which has always been the case until the invention of the electronic cigarette. Invented within the last few years, the e-cigarette is helping revolutionize the cigarette industry and more and more people are jumping on the bandwagon to purchase them. The number of e-cigarettes rose from 10% in 2010 to more than twice as much (21%) in 2011 among adults who smoked combustible cigs. The reason for the continued increase and interest in e-cigarettes has to deal with the fact that these types of cigarettes are the perfect alternative as they taste just as good as conventional cigs and do not have as harsh health disadvantages. 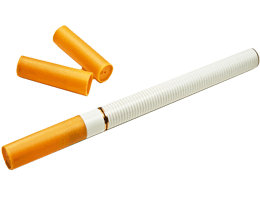 E-cigarettes work by releasing water vapor laced with nicotine and resemble ordinary cigarettes on the outside. While e-cigarettes may resemble ordinary cigs on the outside, they are very different on the inside. E-cigarettes do not contain any tobacco on the inside and instead there is a small mechanism that heats liquid nicotine and turns it into vapor, which can then be smoked. While there are varying opinions on how safe e-cigarettes are to the typical person, they are most certainly better for a person than ordinary cigarettes. 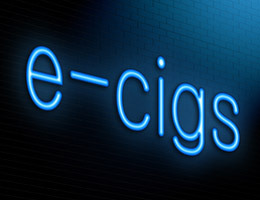 While the jury is still out on how much better e-cigarettes are than ordinary cigarettes and how harmful they are to an individual overtime, this has not hindered the popularity of this type of cigarette. The FDA has classified the propylene glycol liquid as an additive that is said to be safe to use when used in foods in small amounts. This liquid has been used in products such as skin wash, shampoo, hair coloring, toothpaste and dish soap. Although e-cigarettes are continuing to become increasingly more popular and are giving ordinary cigs a run for their money, we can thank the miracle juice called propylene glycol. 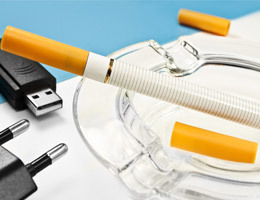 Most scientists believe that electronic cigarettes are better to use than the combustible tobacco-filled cigarettes. 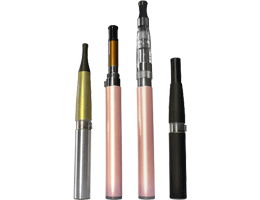 Electronic cigarettes use what people call smoke juice. Smoke juice has the nicotine in it that you put into your electronic cigarette. Your electronic cigarette is a vaporizer. It vaporizes the smoke juice and you get to inhale the vapor that is so much healthier and less smelly than tobacco smoke. Now that this technology is available, you can enjoy nicotine in smoke juices that come in multiple flavors. 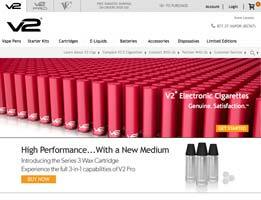 that is another great thing about e cigarettes is that they come in so many different flavors.